Helping you make the right MOVE, one HOME at a time! This Westfield Condo has everything you could possibly want if you are down-sizing from your current home or looking to purchase your first home! This condo has many features including tons of storage, 2 big bedrooms, OPEN concept floor plan, A/C, balcony on front AND back…. On-site private Storage unit, NEW ROOF (2017), ample parking, PET-Friendly, and 5 minutes gets you anywhere you need to be! This is a 2nd floor, single level (garden-style) condo. As a bonus it is also an END unit! And you won’t believe the price! $68,000 ! That means you can own/ finance this unit for around $600 a month… what?? really?!? YES! add the condo fee and you are looking at less than half what local rents are charging in this area… and- the Condo fee includes your HEAT AND HOT WATER – when do you ever see that?!? If you sell your current home all you pay is the condo fee – interested in hearing more on this process? Give me a call and I’d be happy to talk about it further! Let’s get you into a home that’s just the right size for your current needs! Tori Denton, Realtor – Helping you make the right MOVE – One HOME at a time! Visit Park Square for more info! If you are considering condominium living you should schedule an appointment with a qualified insurance carrier prior to taking ownership of your condominium. 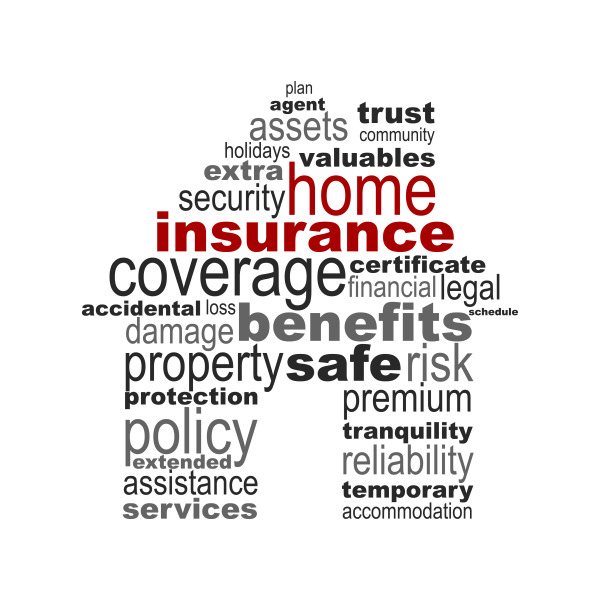 Following are some basic sections you will find in a condominium insurance policy. As a condo owner, one’s insurance needs are different than one who owns a home. The reason is because condominium master insurance coverage in Massachusetts, purchased by the condo association, covers the unit’s building, the common areas, and the condo association’s liability. The master condo insurance policy in Massachusetts, however, does not cover the unit owner’s personal belongings in the condo that is damaged by vandalism, theft or fire. The master policy, also, does not cover the unit owner’s personal liability in the event of a lawsuit. This part of coverage provides a standard $5,000 of coverage for building items such as additions, alterations or improvements to the unit. This amount can be increased for an additional premium. This part of coverage pays for damage to personal property of the insured arising from a covered peril. This coverage part pays an insured if the insured incurs additional living expenses, beyond normal living expenses, while living at another location if the residence premises is unavailable due to a covered peril. It includes additional living expenses as well as fair rental value. This coverage part protects an insured if a legal suit is brought against him or her as a result of legal responsibility for bodily injury or property damage to others. This will protect an insured if another person is injured on or off any insured location. This coverage part will provide payment of medical expenses for someone that has undergone bodily injury as a result of the personal activities of any insured or as a result of the insured location. Limits do apply to the extent of the medical expenses covered. This coverage applies only to a person on the insured premises with the permission of the insured and a person off the insured premises if the injury is caused by the personal (non-business) activities of the insured. This coverage part also covers against injury caused by an animal owned by the insured. There are other endorsements and additional coverages that can be added to a Condo policy by the insured. Each should be reviewed and discussed with your qualified insurance agent. 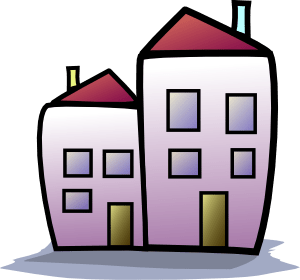 Check back for the final in this 3 part series – Condominium Insurance 101 – Condominium Master Insurance defined…. Interested in Condo Living – Contact me today! What is Master Condo Insurance? A Master Condo Insurance policy is needed by any Condominium Trust or Condominium Association in order to cover the building(s) and the liability of the Condo Association or Trust. 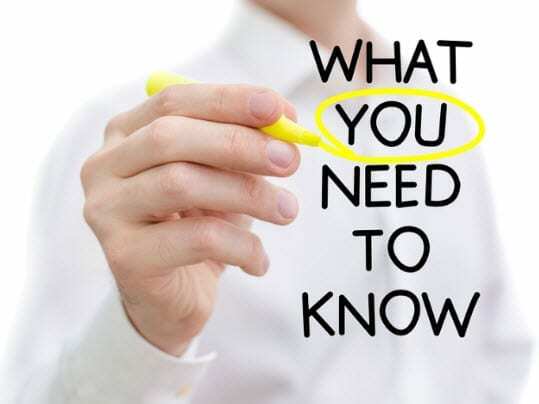 A Condominium Association or Trust’s bylaws will dictate the levels of coverage and any extra coverages that are required to be on the policy. Below are a list of some coverage’s that are available on most master condo insurance policies and a brief description of what they cover. This is for information purposes only. All, some, or none of these coverage’s may be on your current policy. If you have a question about your current policy please call the agency. Liability Coverage – This is the amount of liability coverage that a condo association or trust is insured for. Typically, this limit is a split limit of 1 million I 2 million, but, can be increased. The split limit means that the insurance company will payout a maximum of 1 million per occurrence and a maximum of 2 million in any given policy term. Building Coverage – This is the coverage that is placed on the condo building. This is the maximum amount that the insurance company will payout for any property loss to the building. For example, if your building is insured at 500K and it was to burn down, the maximum amount the insurance company would payout, if they paid the claim, would be 500K. Deductible – The deductibles typically available on a master condo policy are $500, $1000, $2500, $5000, and $10000. The higher your deductible is the lower the cost of the insurance policy. Wind/Hurricane Deductible – Sometimes if a condo is in close proximity to the water a company will add a separate deductible onto the policy. This is usually in the form of a percentage. For example, you may have a 1 %, 2%, 5%, 10% or more wind/hurricane deductible on your policy. A hurricane deductible will apply only if a loss occurs due to a named hurricane. A wind deductible will apply in the event that a loss occurs due to wind, regardless of it being a hurricane or not. For example, if you have a 2% hurricane or wind deductible on your policy and your coverage A limit on the building is $800,000; the deductible would be $16,000 (2% of $800,000). Ordinance & Law Coverage – Ordinance & Law coverage is to protect your building against changes in codes, laws and ordinances in the town or city where you live. In the event of a loss, there could be things that need to be upgraded to conform to the codes or laws of the city and having coverage for those issues is dependent on having ordinance and law coverage on the policy. Especially for older buildings, this coverage can be very important to have. Employee Dishonesty (Fidelity Coverage) – This coverage protects the condo association from an employee or trustee from embezzling funds from the condo association. This is included on most master condo policies and is required by many master condo docs. Directors & Officers Coverage – This coverage helps to protect the trustee’s of a condo association from being sued. This is available on most policies for an additional premium. Flood Coverage – Flood coverage is not typically covered on a master condo policy. In most cases the condo association or trust must purchase a separate flood insurance policy to have this coverage. “All-In” Coverage Endorsement – This means that if there were a property loss and the entire building needed to be re~built the insurance company would re-build the inside walls and fixtures of the condo. Without this endorsement the coverage is generally subject to the bylaws set forth by each individual condo association or trust. This endorsement is only available on some policies, not all companies offer this. For more information regarding this particular endorsement please contact us directly. Earthquake Coverage – This coverage will cover damage to your building in the event of an earthquake. B. Water below the surface of the ground including water that exerts pressure on or flows, seeps, or leaks into a building, foundation or other opening. Whether you live in an apartment, single family house, or Condominium – be sure you are covered. Interested in BUYING or SELLING your home or Condominium??? Contact me today to schedule an appointment! One of the benefits of condominium living is that you can enjoy the financial benefits of owning your own home without the time or expense of home maintenance. However, the benefits of belonging to a condo association don’t take away all responsibility if disaster strikes. Although your condo may be covered by master insurance, you should strongly consider purchasing your own condo insurance policy to make sure you are covered in all situations. Part of your homeowner’s association dues goes to pay for insurance on your condo complex. If the building burns down, or the roof blows away in a hurricane, you should be covered by your condo’s master insurance policy. Additionally, the master insurance policy will usually carry specialized insurance, such as flood or earthquake insurance. However, this policy won’t cover anything inside your individual unit, so you should consider separate condo insurance to insure your belongings. Master insurance generally covers the exterior structures of all condo buildings as well as common areas such as pools, tennis courts or common rooms. In the event of a disaster, your condo complex’s insurance will repair these areas, but will do nothing to restore your unit. You are responsible for replacing items such as wallpaper and carpeting. Whether you own or rent your space, you will need to purchase separate insurance to cover your possessions. Unlike homeowner’s insurance, your complex’s master policy automatically covers you for damage to the exterior of your home at no charge to you. Regardless of the nature of the disaster, your home will be rebuilt and you won’t have to pay anything, including insurance premiums. Additionally, master policies include liability insurance that covers claims against injuries in common areas such as hallways or elevators, so you won’t be liable if guests are injured in those areas. Personal items in your condo should be insured for total replacement cost, rather than actual cash value. Replacement cost will reimburse you for the expense of replacing your valuables at today’s cost, rather than what they are worth after depreciation. This insurance is more expensive, but is often worth the cost. As an example, consider what your ten year old TV is worth as opposed to a brand-new Plasma high-definition version. Be sure to include liability coverage in your condo insurance. If a guest falls down inside your home, or if your birthday cake burns the building down, you could be sued. Liability insurance ensures that your insurer will make the payments instead of you. Beware of using condo insurance to cover small claims. Each claim will raise your premium, and multiple claims will cause your insurer to drop you altogether. Consider paying small claims out of pocket, rather than notifying your insurance company. Want to know more about Condominium Living – Contact me today! Housing Bubble ? – Experts say…. Buying Remains Cheaper Than Renting in 39 States!